These blankets measure 50" x 60" long enough to drape your bed, or leave on the couch to snuggle with your sweetie. 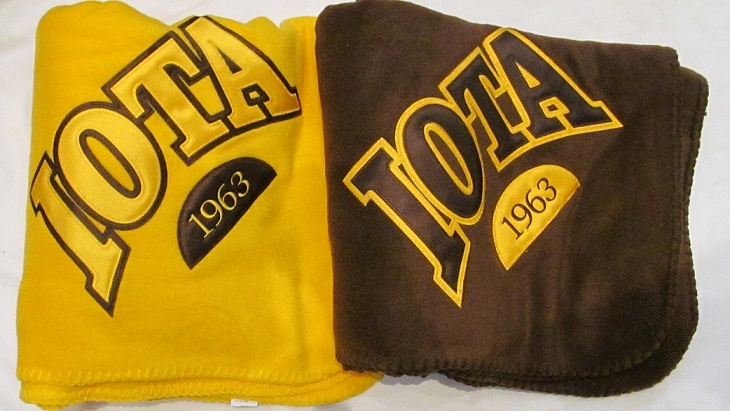 The twill letters and arch are stitched across the corner of the blanket. It also comes with a carrying strap.